Hi guys! Seems like the happiest time of the year (for fashion addicts like me) is here: Sale Season! It’s the perfect time to buy the item you were eyeing for months but was too expensive or to give into some impulse shopping, for items that weren’t really on your wishlist but you’ll treasure just as much. 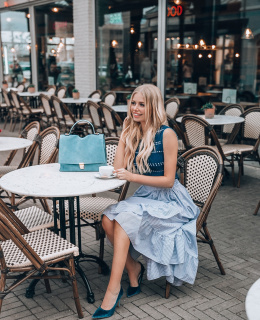 Remember when I talked about my shopping experience at McArthurGlen Designer Outlet Roermond here? Well, now that Sale season in the Netherlands has already started, it was the perfect excuse to pay another visit to the designer walhalla. And even better, since the last time I was here a few months ago, a total new extension has opened with more than 50 additional stores added to the portfolio. Think of boutiques like Maje, Sunglass hut, Anne Fontaine, Liu Jo and many more! Summer Sale period at McArthurGlen Designer Outlet Roermond equals extra savings on outlet prices! Double score, this from June 1st till August 13th! Last Monday, Matthias and I left for an early trip to this shopping paradise, less than 1,5 hours of driving later we arrived for some serious damage. I’ve selected my 7 favourite items from the different (new) shops and mixed and matched them into 2 gorgeous and totally different looks. Curious? Let’s have a look! One of my main tips when going sale shopping would be to go for timeless pieces that aren’t restricted to 1 season only, and that’s what I did for this black on black look. I went for a bohemian inspired black dress with white-orange crochet details from Sandro, The brand’s fringed suede jacket that I threw over my shoulder gives the look that little something extra. Now let’s talk accessories shall we? A high quality designer bag will glam up even the most basic look. I picked this light beige smooth leather bag from Coccinelle, a brand that I’ve been following for a while now. And a good pair of oversized sunnies? Unmissable! These black Prada ones with silver studs from the recently opened Sunglass hut will do the trick. Pretty sure this sophisticated look will be carried on for many seasons to come. The second look I selected was something totally different, starring a blue printed ruffle skirt from Maje, paired with a white off shoulder top, a trend that seems to fit my body figure quite well and that will stay in fashion for many seasons to come if you ask me. Yay! Ton-sur-ton with the beige Phebe bag from Coccinelle that is now priced €221 instead of €341! Such a versatile sale catch! 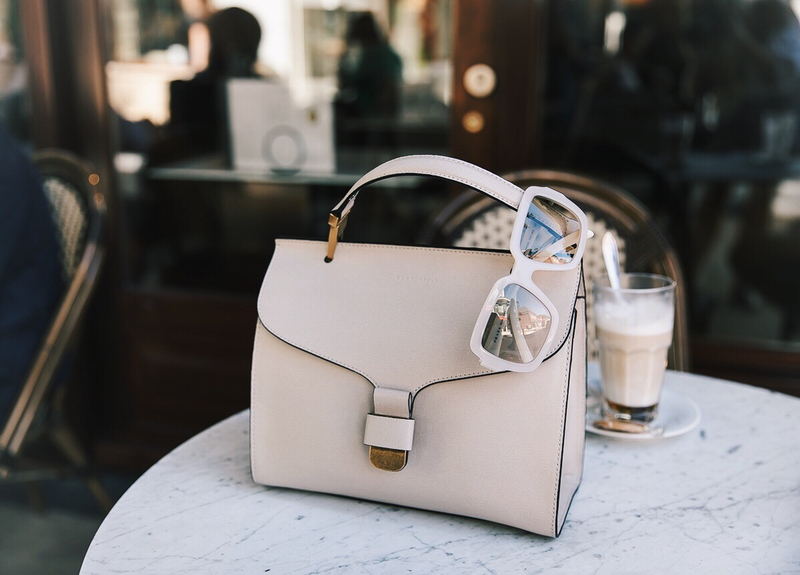 Another look, another pair of Sunglass hut sunnies, how perfect do these milky Prada ones pair with the bag? 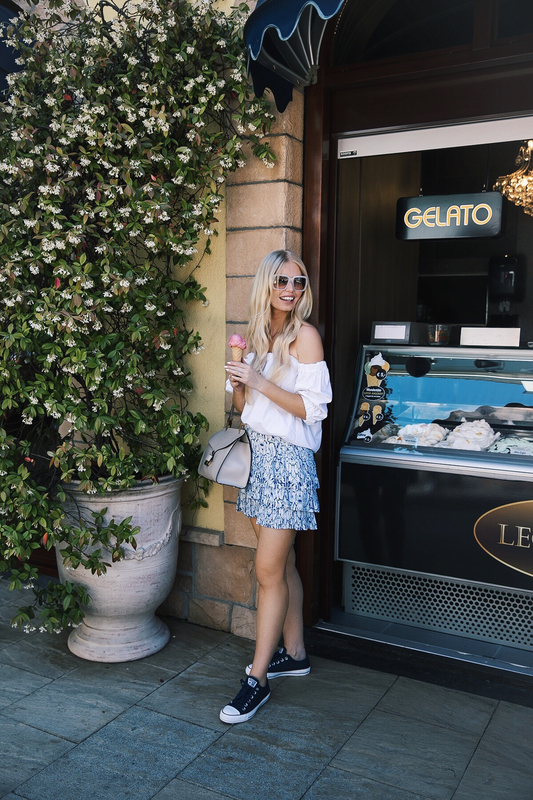 It was about 30 degrees when we went shopping so the perfect excuse for a quick ice-cream pitstop! So delicious! 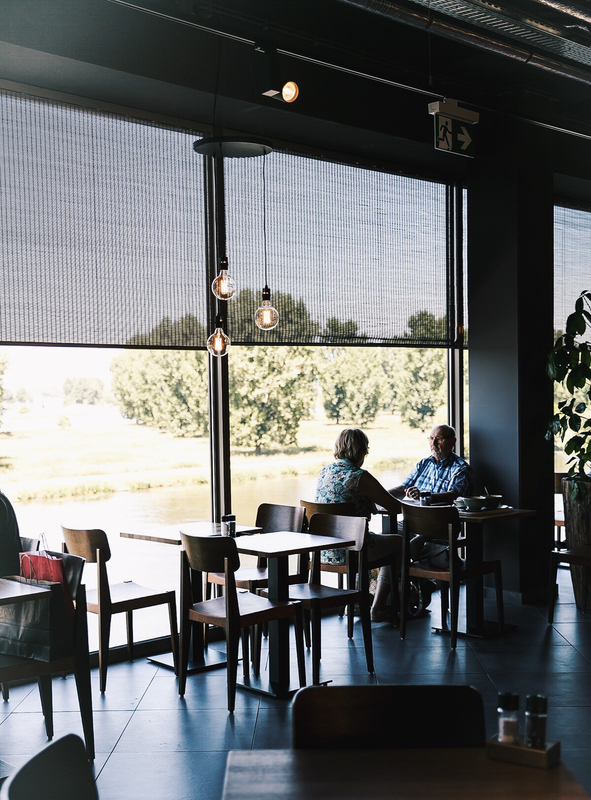 Did you know that McArthurGlen Designer Outlet Roermond offers about 12 food and drinks options? 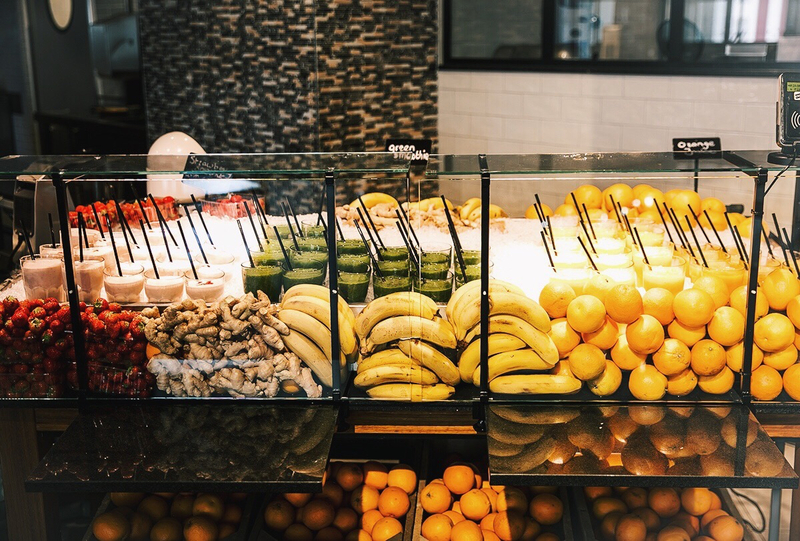 Think Starbucks, Wagamama, McDonalds, … Matthias and I went for lunch in the new La Place cuisine restaurant, the first one worldwide in this brand new concept and serving deliciously fresh and healthy lunch options, all perfectly presented. The ideal quick break! Tempted to see the sale deals for yourself? Make sure to pass by before August 13th! Post made in collaboration with McArthurGlen Designer Outlet Roermond (Stadsweide 2, NL 6041-TD Roermond).